Kwintet Wojciecha Majewskiego zadebiutował w roku 2001 zaskakującą i gorąco przyjętą płytą "Grechuta". Dwa lata później, w zmienionym składzie, zespół nagrał album "Zamyślenie", który w roku bieżącym pojawił się w wersji odświeżonej i wzbogaconej o nagrane dekadę później wersje dwóch solowych utworów pianisty. "Zamyślenie" ceni się, pamięta o nim. Mam jednak wrażenie, że pomimo to do płyty tej wraca się zdecydowanie zbyt rzadko. A przecież atutów ma to wydawnictwo bez liku. Chociażby sam zespół złożony z wytrawnych muzyków. Robert Majewski na trąbce, Tomasz Szukalski na saksofonie, sekcja rytmiczna z legendarnym Palle Danielssonem i Michałem Miśkiewiczem. Wreszcie gościnny występ Grzegorza Turnaua, śpiewającego finałową piosenkę do tekstu Bolesława Leśmiana. Nie popadając w przesadę można skład ów nazwać gwiazdorskim. Nie bez znaczenia pozostaje świetna muzyka. W większości autorstwa lidera kwintetu (znakomite, trzyczęściowe "Pożegnanie", kapitalnie zagrane solo w "Pożegnaniu Strawińskiego"). Okraszona utworami klasyków: Komedy, Niemena i Grechuty. Wybranymi rozważnie, poza niemenowską kompozycją raczej mało znanymi i ogranymi (bo przecież renesans "Niekochanej", tu połączonej z tytułowym "Zamyśleniem" Majewskiego w jedną całość, nadejdzie dopiero wiele lat później przy okazji wiadomego albumu zupełnie innego muzyka). Wreszcie rewelacyjne wykonanie. Fantastyczny Szukalski, kapitalnie współpracujący i uzupełniający się z Robertem Majewskim. Wspaniały w utworze "Bema pamięci rapsod żałobny", porywająco rozegranym w duecie fortepian/saksofon. Wspomniany Robert Majewski, świetny – co już nadmieniałem – w kooperacji z saksofonem. Bezbłędnie prezentujący się kolejny duet Danielsson/Miśkiewicz. No i oczywiście sam lider Wojciech Majewski. Perfekcyjny w prezentacji solowej, w duetach i w przewodzeniu całemu zespołowi. Znakomita płyta, którą przede wszystkim nie odbiera się jako archiwalną ciekawostkę. To także dzisiaj świeża, oryginalna i wyróżniająca się propozycja. Bez problemu mogłaby się ukazać jako nowość i szybowałaby wysoko w rocznych podsumowaniach. Warto skorzystać więc z pretekstu wznowienia i odświeżyć znajomość z "Zamyśleniem". 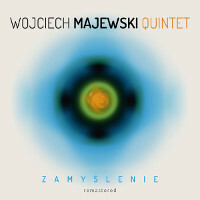 This is the second album by the Polish Jazz Coherence Quartet, which comprises of saxophonist Łukasz Kluczniak, pianist Robert Jarmużek, bassist Marcin Lamch and drummer Grzegorz Masłowski. The album presents six original compositions, two each by Jarmużek and Kluczniak, one by Lamch and one co-composed by Kluczniak and Lamch. According to the album's liner notes, the music was recorded in the bassist's living room, using just a very basic miking setup, which worked out splendidly with the sonic result being just spectacular. 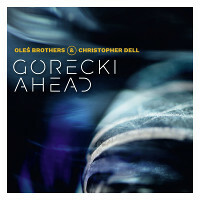 The album was released on the Dutch Challenge Records label, which seems to have discovered the young Polish Jazz scene as of late. The music is all within the European Jazz mainstream, strictly melodic and "well behaved", mostly relaxed, contemplative and melancholic, but certainly very aesthetic and interesting. Each of the compositions is splendidly developed by the quartet and offers excellent soloing by all participants and great ensemble playing as well. To quote the liner notes again, the quartet failed to come up with a satisfactory result in their attempts to record the second album for quite a while, and the homey atmosphere and intimate interplay that these home sessions offer turned out to be the catalyst, which added the missing ingredient. Overall this album offers superb contemporary European Jazz mainstream, beautifully composed and perfectly executed, which offers the listener a pleasant, but far from trivial listening experience, which keeps him on his toes. Since I am not familiar with the debut recording, it is impossible for me to compare this album to its predecessor, but from what I have read about it, the quartet certainly managed to fulfill the high hopes the debut album delivered. For the many young Polish Jazz followers, this album is exactly what they expect to hear – great music, first class playing and that specific "Polish" resonance, which is instantly recognizable. Wholeheartedly recommended! This is the debut album by American (from Chicago) quintet called Chicago Edge Ensemble, which comprises of saxophonist Mars Williams, trombonist Jeb Bishop, guitarist Dan Phillips, Polish (resident in US) bassist Krzysztof Pabian and drummer Hamid Drake. 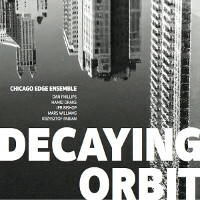 The album presents seven original compositions, all by Phillips, who is the leader of the ensemble. In contrast to the music Phillips creates with his trio, which is original and interesting, the music presented here is mostly typical American Free Jazz, which did not change much in the last fifty years since its inception. Each of the tracks is based on a sketchy melodic riff, which is than expanded into lengthy improvisations performed by the three front players and supported by the rhythm section, which swings at times and plays free time at others. The ensemble sounds at its best when the music becomes more Fusion oriented, with a strong Rocky pulse and Phillips' scorching guitar in the lead, but these moments are relatively rare. The music moves between organized passages, with clearly defined roles as far as the players are concerned, and completely Free parts, which are less impressive. All these musicians are excellent instrumentalist and play formidable solo parts, especially Phillips, whose guitar manages to be searching and expressive. Pabian plays beautifully and his pulsations keep the music together, especially in view of the challenging, but of course excellent drumming by Drake. The trombone and saxophone parts are technically impressive, but offer nothing that was not heard in Free Jazz time and again before. Overall this is a very solid offer by an excellent ensemble, especially for Free Jazz connoisseurs, but is also accessible to a broader audience since the Free elements are relatively tame and the album also offers quite a few Fusion oriented vistas. Definitely worth investigation! 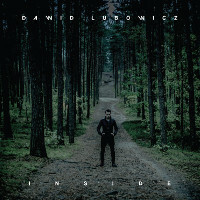 This is the eagerly awaited and highly anticipated debut album as a leader by Polish Jazz violinist Dawid Lubowicz, primarily known as a member of the Atom String Quartet. The music was recorded in a quartet setting with pianist Krzysztof Herdzin (who also plays flute and accordion), bassist Robert Kubiszyn and drummer Łukasz Żyta. Vocalist Jacek Kotlarski and keyboardist Tomasz Kałwak guest each on one tune. The album presents nine compositions, eight of which are originals by Lubowicz and one is by Polish Classical composer Karol Szymanowski. Musically the album is quite surprising, especially in view of extensive recorded legacy Lubowicz created with Atom String Quartet and other projects. The compositions are all exquisitely melodic, melancholic and delicate, seemingly "simple" in their scope, leaving the complexity to be expressed via the performance layer rather than making the music less communicative. Such honesty and straightforwardness is an extremely rare quality among Jazz composers these days, which mostly adhere to the notion that music has to impress by its "cleverness" and "intricacy", neglecting the "simple is beautiful" ideal, which Lubowicz is able to bring to perfection herein. Another significant aspect of this music is its strong connection, almost umbilical, to Polish Folklore, and especially to the music of the Polish Highlanders, which is of course native land of Lubowicz. The ties to folkloristic themes are quite subtle at times and need a trained ear to be recognized, but they are preset almost continually as part of the aesthetic climate this album offers. The inclusion of the Szymanowski composition also refers to the composer's fascination with the music of the Highlanders. The decision to use Herdzin as part of the team might seem surprising at first, as Herdzin is rarely used as a sideman these days and his role is usually much more dominant. But in retrospect Lubowicz made the ideal decision, as Herdzin has very few equals when playing "pretty" is in order. He is a master of sweetness and romanticism and his work on this album is simply perfect in every respect. Kubiszyn is a Master and every album he is on is blessed by his presence. His acoustic bass pulsations and fretless solos are all breathtaking. Żyta is the metronome man, always ideally on time and with the right intensity, even if he is playing just in a duet setting with Lubowicz. 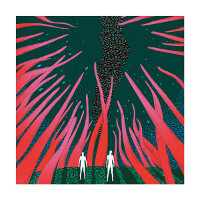 Kalwak transforms the single tune he is on into a gleaming magic pearl, full of sensitivity and intrinsic beauty, using his unique "touch". And Lubowicz? Oh well Lubowicz is a Monster, a quiet, gentle Monster, mind you, but a true virtuoso, who plays music rather than showing his chops, always elegant, stylish and graceful, creating an irresistible urge to embrace everything that his vibrating strings are able to create. Overall this is a most impressive debut album and the only regret about it is that we had to wait for it for so long. But now, that it is finally out there, don't hesitate and grab it ASAP and I guarantee you won't regret it. The album is exquisitely packaged and offers a superb sonic quality, which should make the decision to get a copy even easier. The album was released by the Zbigniew Seifert Foundation, run by the unwearied Aneta Norek, who deserves our gratitude for keeping the Polish Jazz violin tradition flourishing. 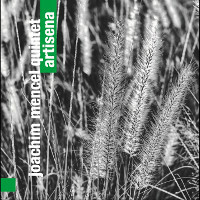 This is an album by Polish Jazz pianist/composer Joachim Mencel, recorded in a quintet setting with violinist Weronika Plutecka, guitarist Szymon Mika, bassist Paweł Wszołek and drummer Szymon Madej. It presents a cycle of eight original compositions, all by Mencel, based on Polish Folklore dances. Originally Mencel composed and arranged these compositions for a Jazz nonet, but over time as a result of his process of mastering the hurdy-gurdy, he changed the concept and recorded these compositions in a Jazz-World Fusion approach with the above quintet. Polish Folklore seems to be and endless source of inspiration to Polish Jazz musicians and the numerous Jazz-World Fusion projects that appear on the Polish Jazz scene like mushrooms after the rain are ample proof of this phenomenon. One can reflect on the early days of Polish Jazz, during the Socialist regime, when Jazz was often presented as Folk music of the oppressed Afro-American community in order to get clearance from the Cultural censorship to organize Jazz events, and later on Jazz musicians had to include Polish Folklore in their compositions in order to be allowed to record an album (same methods applied also to Polish contemporary Classical Music and Rock). In retrospect perhaps these despicable political manipulations achieved an after effect, which is now coming to a most successful fruition out of good will this time. The music on this album is very melodic and basically mainstream oriented, with the Folklore influences being rather subtle and present most vividly in the rhythmic layer of the compositions. Listeners familiar with Polish Folk dances like Polonaise, Oberek, Mazurka or Kujawiak will probably recognize the patterns, but to those less well-versed in the matter they will become simply a part of the music as a whole. Nevertheless the overall effect is very impressive and aesthetically pleasing. The Jazz facet of the music comes forward during the guitar and piano solo parts and the excellent work by the rhythm section, behind the front players. The individual performances of the quintet members are all top notch, although Mika simply steals the show with his guitar magic. Mencel is an accomplished pianist but his soloing is rather reserved, which emphasizes the guitar parts even more. The violin and hurdy-gurdy stay mostly in the background and are merely an ambient coloring to the rest of the music. Overall this is a very pleasant, highly melodic album, which flows gently from one tune to the next, with the Folklore impact being mostly secondary. Great guitar solos spice the proceedings and keep the music on a Jazzy path, to the delight of the many guitar enthusiasts. Definitely on the lighter side of the spectrum, this music is accessible to almost all music connoisseurs, who like cross-genre explorations without too many cerebral obstacles. 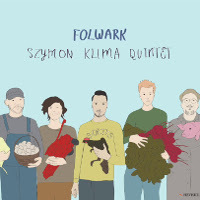 This is the debut album by a Polish Jazz quintet led by clarinetist/composer Szymon Klima, which also includes saxophonist Dariusz Rubinowski, guitarist Jakub Mizeracki, bassist Adam Kowalewski and drummer Jakub Miarczyński. The album presents six pieces, which are all interpretations of Polish Folklore in the widest meaning of the idiom, including even Polish Hassidic music, and also include some improvised and inspired motifs created by the quintet members. 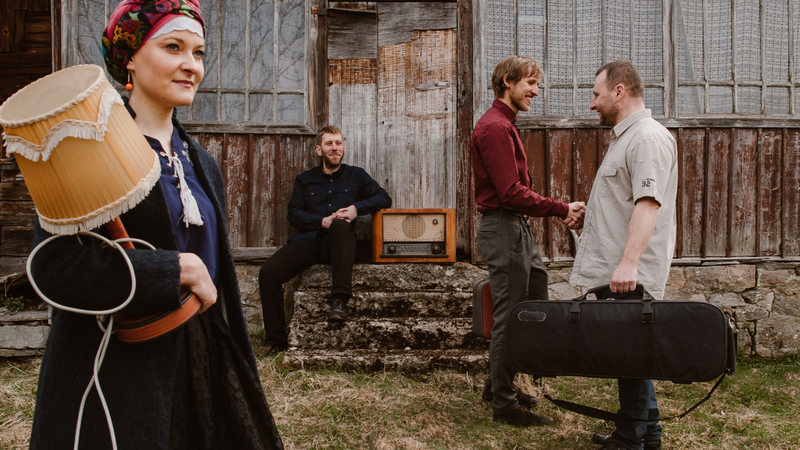 In 2017 Klima, as a member of the Improvision Quartet, released one of the best Polish Jazz albums of that year, the fantastic "Free-Folk-Jazz", and this album is in many respects a continuation of the same approach, although the sound is somewhat different. Instead of the wonderful piano parts, which placed the music closer to the Free Jazz milieu, on this album the guitar takes the music more into Free Rock direction. But the basic characteristics of the previous album, which are above all about the intimate conversations between the musicians and the mutual development of ideas, are still here. 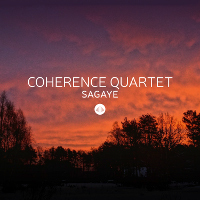 The individual contributions by all the quintet members are all superb, and the virtuosic statements chase each other as the music moves forward. Solos, duos, trios and full quintet parts move in and out in a magical flow, which is unstoppable. There is accord and contrast, harmony and discord, all making perfect sense. The "sweet" mellow clarinet sound and the harsh distorted guitar din are able to coexist in perfect coherence and musical logic. The rhythm section is brought up to the level of the other instruments and becomes an integral part of the music, especially in the heat of the group improvisation parts. It seems that Polish Jazz manages time after time to create innovative and challenging statements when re-examining and re-approaching the Polish Folklore musical tradition, which is broad and rich, probably more successfully that similar attempts on other Jazz scenes around the world. This album is another example of the inspiration that Polish Folklore is able to arouse, stimulate and inspire, taking the amalgamated result into unpredicted and previously uncharted territory. Overall this is yet another highly successful and rewarding musical experiment by Klima and his cohorts, which delivers excellent music and challenging, but highly rewarding listening experience. For Polish/European Jazz connoisseurs this is a golden nugget and a must have in every serious/advanced Jazz-World Fusion collection. Hats off! "Human Things" pianisty Piotra Wyleżoła to trzecia w kolejności płyta, która ukazuje się w reaktywowanej serii Polish Jazz. Zbigniew Namysłowski i Kuba Więcek wysoko ustawili poprzeczkę, godnie wpisując się w artystyczne dziedzictwo tego wydawnictwa. Przed Piotrem Wyleżołem stało więc niełatwe zadanie utrzymania tak korzystnej passy. Wydaje się, że sprostał mu naprawdę całkiem nieźle. Obok pianisty z Knurowa trzon zespołu stanowi dobrze znana i ceniona sekcja rytmiczna - Michał Barański (kontrabas) i Michał Miśkiewicz (perkusja). Na zdecydowanej większości utworów usłyszeć możemy jednak również dźwięki stworzone przez cenionego amerykańskiego saksofonistę Daynę Stephensa. Otwierająca album tytułowa kompozycja prezentuje charakterystyczną muzyczną wrażliwość wszystkich muzyków, z partiami wokalnymi Agi Zaryan i Grzegorza Dowgiałło dodającymi temu subtelnemu utworowi jeszcze więcej smaku i szyku. Niezwykle ciekawie wypada w tym kontekście improwizowane solo Wyleżoła, w swej strukturze bardzo nieszablonowe i niestandardowe. Równie atrakcyjne jest "Fatalismus Optymismus", którego początkowe dźwięki perkusji przywodzą na myśl brzmienie legendarnego Arta Blakey’a. Później jednak wątki hardbopowe schodzą na drugi plan, a po świetnych solówkach Wyleżoła (trochę w stylu Oscara Petersona) i Stephensa, następuje bardziej przestrzenna część kompozycji. Blisko dziesięć minut muzyki, które są chyba najciekawszym fragmentem całej płyty. Ciekawie prezentuje się również tęskne "Home", którego niewątpliwą ozdobą jest śliczna partia flugelhornu Roberta Majewskiego. Album kończy "Once Forever", najmocniejszy rytmicznie, jazzowy archetyp, w którym partia solowa Wyleżoła przekonać musi każdego niedowiarka co do jego nieprzeciętnego talentu i umiejętności. "Human Things" to płyta bardzo dojrzała i elegancka. Każdy, nawet najdrobniejszy jej szczegół, jest przemyślany i dopracowany. Co więcej, stanowi ona pewną całość, stylistycznie wypieszczoną i domkniętą, która w kreatywny sposób realizuje wizję muzyczną lidera. Zapewne nie jest to pozycja, która wejdzie na trwałe do kanonu klasyków polskiego jazzu, na pewno jednak przyniesie dużą dawkę zadowolenia, zwłaszcza odbiorcom o nieco bardziej wysublimowanym guście. Jak świat światem, jedno jest pewne – seria Polish Jazz to gwarancja wysokiej jakości, czego kolejnym dowodem najnowsze wydawnictwo Piotra Wyleżoła. Nasz krajowy VIP sceny muzyki improwizowanej, Mikołaj Trzaska, dość dawno wyrył już swe dumne personalia w skale historii gatunku. Szczęśliwie nic nikomu udowadniać nie musi, w rankingi się nie bawi, zatem ma wystarczająco dużo czasu, by nagrywać nowe, dobre płyty. Tegoroczna nowość fonograficzna z naszym bohaterem w roli głównej ‎to koncertowa rejestracja z londyńskiego klubu Cafe Oto. Co warto zaznaczyć, dostępna jest jedynie w plikach. Zgodnie z tradycyjnym tytułem dla tej serii wydawniczej, wiemy doskonale, iż jest grudzień 2016 roku. Na wąskiej scenie klubu, obok naszego saksofonisty, angielski kolega po fachu, Seymour Wright. Muzyk, którego znamy z kilku rejestracji, wychodzący na tę scenę zdecydowanie bez jazzowych doświadczeń, od lat skąpany w sonorystyce instrumentu dętego drewnianego. Mistrz subtelnych, głębokich improwizacji, czasami wprost z szeroko rozumianej muzyki współczesnej. Spotkanie na artystycznej krawędzi noża trwa niewiele ponad 36 minut i mimo że jest jednym utworem, składa się z kilku dość niedługich, ale krwistych dialogów na dwa saksofony (chyba wyłącznie altowe, opis wydawnictwa jest wyjątkowo skąpy). Batalia toczy się na ogół na warunkach Trzaski. Tam, gdzie free jazz spotyka się z free improv i ma większe muskuły. W tych silnych dialogach wiele zjawisk dźwiękowych przypomina estetyką i stylistyką Petera Brötzmanna. Z jednej strony smakuje ogniem, z drugiej rodzi pytania o intencje i arsenał artystycznych środków wyrazu, pozostających w gestii muzyka. Przyparty do muru recenzent powie, że kupuje tę muzykę. Ambiwalencja natomiast sprowadza się do pytania, czy bezkompromisowość w sztuce swobodnej improwizacji nie bywa czasami przejawem słabości. 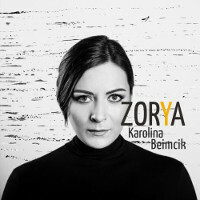 This is an ambitious debut album by Polish vocalist/violinist/composer Karolina Beimcik with her new project called "Zorya", which is her interpretation of Polish/Ukrainian Folklore of the ethnic minorities like Boykos, Lemkos and Kurpie people, who maintain their linguistic dialects and traditions. Beimcik is accompanied by four excellent Polish Jazz musicians: guitarist Rafał Sarnecki, pianist Jan Smoczyński, bassist Michał Jaros and drummer Michał Miśkiewicz. The album presents eight tracks (actually the album's artwork lists eight tracks but credits refer to nine tracks, go figure), six of which are traditional tunes and two were composed by Beimcik. 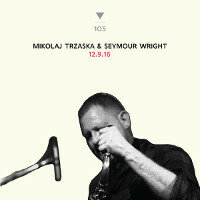 The music was recorded by Smoczynski at his excellent Studio Tokarnia, with excellent sonic quality as usual. In spite of the presence of the Jazz musicians, the music itself has very little to do with the essence of Jazz and is dominated by the Folkloristic themes. The Jazz influences stay mostly in the background and are more ornamentation than the actual quintessence. The basic melodies have, as expected, a strong East European disposition, being all rather melancholic and gloomy, quite similar to each other. 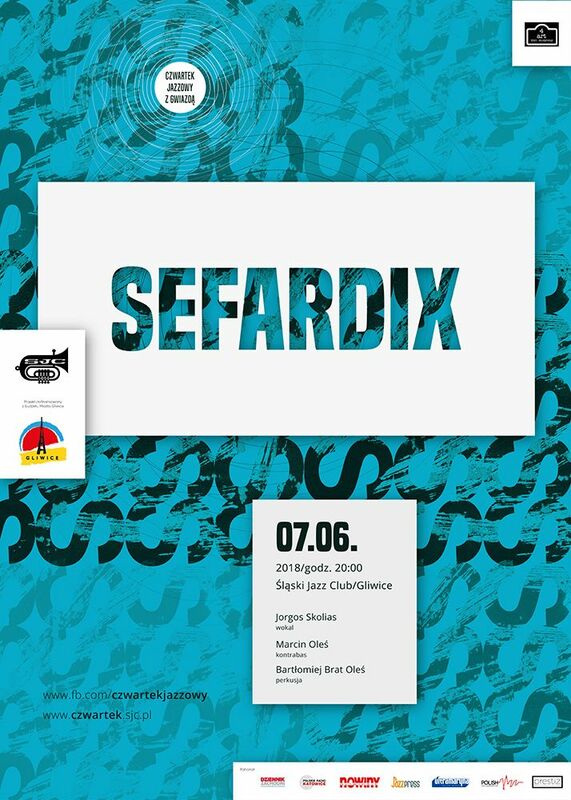 The two original compositions, and especially the title track, are much more Jazz oriented and Beimcik performs on them nice wordless vocalese parts in addition to instrumental solos. The instrumental work by the team is all quite excellent, as appropriate from highly talented musicians of this class. Smoczyński takes most of the accompaniment on his shoulders, staying relatively in the background, Sarnecki adds tasteful guitar embellishments and the rhythm section provides a solid basis for the music, with a few exceptional bass solos by Jaros. Overall this is another example of the amalgamation between Folklore and Jazz, which seems to be more popular and successful in Poland than anywhere else in recent years. Preservation of ethnic traditions is of course an obligation of any Cultural people, and projects like this one are all important, but some or more successful musically than others. Personally I'd prefer an entire album of music as represented by the two original compositions. 15 czerwca o godzinie 19.00 odbędzie się wyjątkowy koncert w wyjątkowym miejscu. World Orchestra Studio i Grzech Piotrowski zapraszają na koncert solowy trębacza Piotra Schmidta. Dostępne jest tylko 15 miejsc. Bilety w cenie 100 zł wymagają wcześniejszej rezerwacji. Wszyscy uczestnicy koncertu na miejscu dostaną specjalne słuchawki, poprzez które będą świadkami improwizowanej twórczości artysty. Niezwykły klimat koncert ten zawdzięczać będzie krystalicznemu brzmieniu wydobywającemu się ze słuchawek w World Orchestra Studio Grzecha Piotrowskiego, przerabianemu dzięki elektronice wykorzystywanej przez artystę na różne sposoby w trakcie aktu tworzenia. Piotr Schmidt - urodzony w 1985 roku trębacz jazzowy, producent muzyczny, wydawca, lider zespołów, wykładowca w AM w Katowicach oraz w Instytucie Jazzu w PWSZ w Nysie. Absolwent Akademii Muzycznej w Katowicach, w której w czerwcu 2016 roku uzyskał tytuł doktora w dziedzinie sztuk muzycznych. Został wyróżniony Nagrodą Prezydenta Miasta Gliwice w dziedzinie Twórczości Artystycznej, upowszechniania i ochrony kultury (2012) oraz nagrodą Okolicznościową Ministerstwa Kultury i Dziedzictwa Narodowego (2013). Piotr Schmidt jest stypendystą University of Louisville, Kentucky, USA 2006, ponadto w okresie debiutanckim w latach 2006 – 2010 zdobył wiele indywidualnych nagród. Piotr Schmidt ma na swoim koncie dziewięć wydanych, autorskich płyt, w tym trzy z zespołem Piotr Schmidt Electric Group (Schmidt Electric). Od sześciu lat notowany jest w pierwszej czwórce jako "najlepszy trębacz jazzowy roku" w ankiecie Jazz Top magazynu Jazz Forum. W 2015 roku był trzeci w tej kategorii. Współpracował m.in. z takimi muzykami jak: Walter Smith III, Alex Hutchings, Ernesto Simpson, Grzegorz Nagórski, Dante Luciani, Maciej Sikała, Piotr Baron, Wiesław Pieregorólka, Grzech Piotrowski, Wojciech Karolak, Wojciech Myrczek, Apostolis Anthimos, Marek Napiórkowski, Dominik Wania, Paweł Kaczmarczyk, Paweł Tomaszewski, Kazimierz Jonkisz, czy Michał Barański. Także z artystami popularnej estrady: Krystyna Prońko, Ewa Bem, Kuba Badach, Ten Typ Mes (Piotr Szmidt) i Miuosh. Schmidt jest również właścicielem wydawnictwa SJ Records, które w ciągu sześciu lat istnienia wydało 29 płyt. 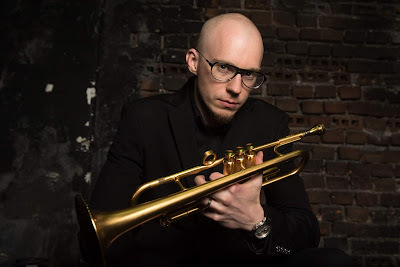 This is the third album as a leader by Polish Jazz trombonist/composer Grzegorz Nagórski, this time recorded in a quartet setting which features keyboardist Paweł Tomaszewski, bassist Michał Barański and drummer Paweł Dobrowolski. 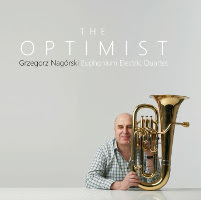 Nagórski plays this time on the euphonium, rather than on his customary trombone, which makes this album quite unique, as euphonium is rarely used as the leading instrument. The album presents six original compositions, all by Nagórski. The music is actually quite surprising, very melodic and mainstream oriented, but definitely not trivial. Most of the time it sounds very Funky and offers a lot of Grove and Soul hints and to me is reminiscent to the music composed by the great George Duke and Herbie Hancock in their electric periods. 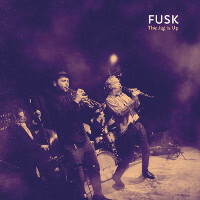 Overall it could be described as Jazz-Funk, Jazz-Soul or Jazz Rock Fusion. Nagórski's compositions are all first rate. The euphonium proves to be, as expected, a very difficult instrument as a leading voice of a quartet, and in spite of the fact that Nagórski handles it very skillfully, it is essentially up to the other musicians to provide most of the harmonic and rhythmic contents, which of course they do perfectly, as expected from the highly professional and talented musicians they are. Tomaszewski's keyboards are an absolute delight and he is definitely as excellent in the electric department as he is in front of the acoustic piano and for some time one of my favorite Polish keyboard players. Overall this is a very pleasant and musically satisfying album, which at the same time offers an attempt to use an unusual instrument in a Jazz environment. The music should be acceptable to a wide circle of Jazz/Fusion listeners and guaranties a well spent time while listening to this music. Po świetnie przyjętym pierwszym albumie Oleś Brothers & Jorgos Skolias kontynuują swoją muzyczną podróż. Nowa płyta "Maggid" ukazała się w roku 2016. Ze względu na już dopięty program ubiegłorocznej edycji projekt zagości w Gliwicach w tym roku. Bo naprawdę warto. Pierwszy album zespołu powstał z połączenia jazzu z tradycyjnymi pieśniami i motywami muzyki żydów sefardyjskich, zamieszkujących teren Półwyspu Iberyjskiego i wygnanych z Hiszpanii i Portugalii pod koniec XV wieku. Ten materiał była prezentowany również w cyklu Czwartek Jazzowy z Gwiazdą, jeszcze w starej siedzibie SJC. Podczas pracy nad kolejnym albumem członkowie tria Sefardix rozszerzyli swoje muzyczne poszukiwania na inne tereny basenu Morza Śródziemnego. Tytuł "Maggid" ma dwa znaczenia.W judaizmie wschodnioeuropejskim to wędrowny kaznodzieja. Jego rola polegała na przybliżaniu nauk rabinicznych przeciętnemu słuchaczowi, a barwne i przystępne kazania trafiały na podatny grunt. Maggid nie był zobligowany do wierności tekstom źródłowym, mógł zatem ubarwiać je własnym doświadczeniem, dowcipem i charakterem. Swoboda w snuciu opowieści pozwalała na poszukiwanie najlepszych możliwych środków interpretacji w dotarciu do słuchaczy. 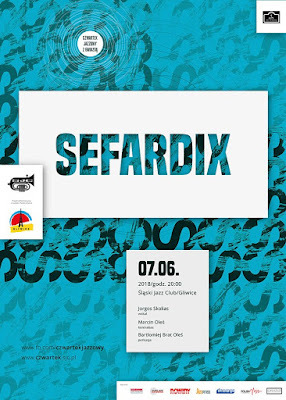 Odwołując się do tej terminologii trio Sefardix snuje muzyczną opowieść opartą na wątkach sefardyjskich, nie ogranicza się jednak jedynie do nich, zahaczając o tereny przyległe, opowiada muzyką styku kultur o opuszczeniu, namiętności, tęsknocie, ludzkich dramatach i chwilach radości. To muzyczna podróż przez stulecia, opowiadana przez współcześnie żyjących muzycznych maggidów. Podróż po Europie, północnej Afryce, Bliskim Wschodzie i Bałkanach. Muzyczna fikcja oparta na faktach. Te fakty, to muzyczne wątki judeo-hiszpańskie, berberyjskie, bałkańskie, marokańskie, arabsko-andaluzyjskie, czy wreszcie greckie. To tylko pozornie hermetyczna muzyka. Tak naprawdę jest uniwersalnym językiem instynktownie przyswajalnym przez słuchaczy. W połączeniu z muzyczną wirtuozerią i wielką wyobraźnią artystów daje w efekcie piękne dzieło. Zapraszamy na drugą edycję JAZZTIVALU, który odbędzie się dniach 22-23 czerwca w Ustroniu i 24 czerwca w Goleszowie. Grzegorz Lulek i Piotr Matusik to artyści, którzy wspólną pracę rozpoczęli w 2013. Grzegorz jest absolwentem Uniwersytetu Śląskiego na Wydziale Artystycznym. Swoją podróż muzyczną rozpoczynał od gry na saksofonie, aby po 20 latach odkryć swój niepowtarzalny talent wokalny. Śpiewając, posługuje się językiem brzmiącym jak mieszanka dialektów z różnych stron świata, choć w rzeczywistości nie zna żadnego z nich. Traktuje to jako dar, możliwość wyrażania przeróżnych emocji. Brak ograniczeń słowem czy wyuczonym tekstem pozwala mu na ogromną wolność ekspresji. W swojej muzyce łączy elementy jazzu oraz afrykańskiej, indyjskiej i arabskiej muzyki ludowej. Ghostman podczas każdego występu eksperymentuje, odkrywając wciąż nowe środki ekspresji. Piotr Matusik to utalentowany pianista i kompozytor, absolwent Akademii Muzycznej w Katowicach na Wydziale Jazzu w klasie prof. Wojciecha Niedzieli. W 2014 roku wydał debiutancki album "Tribute To Chick Corea", który otrzymał wiele znakomitych recenzji. Projekt współtworzyli Dariusz Ziółek (bas), Adam Buczek (perkusja) i Jakub Chojnacki (saksofon). W 2016 roku Piotr zwyciężył w konkursie kompozytorskim organizowanym w Belgii w ramach B-Jazz 2016 International Contest. Spośród 73 zgłoszeń to właśnie kompozycja zatytułowana "Eternal July" spotkała się z największym uznaniem jury konkursu. Koncerty duetu Ghostmana i Matusika przepełnione są emocjami, można podczas nich usłyszeć inspiracje muzyką artystów takich jak Richard Bona, Chick Corea, Sting, Bobby McFerrin czy Leszek Możdżer oraz wielu innych, jednak program koncertów to wyłącznie autorskie kompozycje duetu. 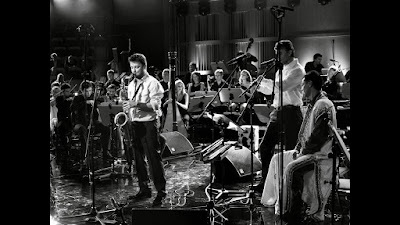 Mysteries Lab - ich muzyka to niezwykła mieszanka tego, co w jazzie i fusion najlepsze, a sami jako swoje inspiracje przedstawiają tak wielkie nazwiska jak Hiromi Uehara, Vijay Iyer, Now vs Now, czy Nerve. Zespół łączy style muzyczne takie jak glitch, jazz, ambient, djent. Każdy utwór to inna opowieść, próba pobudzenia wyobraźni słuchacza w kierunkach dotąd nieznanych, nieodwiedzanych. Grupa wystąpi w składzie: Aleksander Zabłocki - piano / Jan Wierzbicki - bass / Tomasz Mądzielewski - drums. Grzech Piotrowski – kompozytor, saksofonista, producent muzyczny, aranżer. Artysta balansujący na krawędzi muzyki filmowej, klasycznej, jazzu, etno, roots, otwartej improwizacji. Ukończył prestiżowy Wydział Jazzu i Muzyki Rozrywkowej w Akademii Muzycznej w Katowicach w klasie saxofonu. Twórca World Orchestra Grzech Piotrowski. Projekt One World jest kameralną odsłoną World Orchestra. Prezentuje muzyczne inspiracje artysty, których doświadcza podczas swoich podróży. Wyszukuje wybitne osobowości muzyczne i zaprasza do wspólnej improwizacji. Wkrótce na rynku pojawi się drugie wydanie płyty "One World II". Gościem specjalnym Grzecha Piotrowskiego tym razem będzie Mustapha El Boudani, który urodził się w tradycyjnej, wielodzietnej rodzinie Nomadów i pochodzi z południowej części Maroka, z wioski M'Hamid El Ghizalne, która znajduje się u wrót piasków Sahary i wysokich wydm zwanych Erg Chigaga (erg oznacza wydmę). Jest wokalistą, gitarzystą i bębniarzem. Gra na kastanietach – karkabat oraz tańczy. Podczas koncertu muzyk prezentuje tradycyjny, autentyczny folklor oraz muzykę saharyjską graną w obecnych czasach (tu - gitara elektryczna). Muzycy Składu Niearchaicznego pochodzą z Beskidów, z Lalik, Żywca, Jeleśni i muzyką tego regionu przesiąkali i głównie nią się inspirują. Znają się od dawna. Grali przy rozmaitych okazjach, spotykali się w różnych zespołach (Besquidians, Kapela Wałasi, Karpatia), wiosną 2016 r. na potrzeby pierwszych potańcówek dudziarskich potrzebowali tylu zespołów z dudami, żeby starczyło przynajmniej do północy, więc skrzyknęli się i zrobili parę starych numerów żywieckich - trochę po nowemu, a trochę tradycyjnie. Muzyka ich regionu wykonywana była niegdyś przez dudziarza i skrzypka, dziś nazywanych składem archaicznym. Niearchaiczność składu grupy to nie tylko szersze instrumentarium, ale przede wszystkim dowód na to, że muzyka beskidzkich Mistrzów to ciągle żywy twór, który można świadomie rozwijać i wzbogacać. Ich Mistrzowie to przede wszystkim Kapela Byrtków i ich muzyka dudziarska okolic Pewli Wielkiej. Skład Niearchaiczny zauważono na Mikołajkach Folkowych 2016, a nagrodzono "Złotymi Gęślami" na Nowej Tradycji 2017. 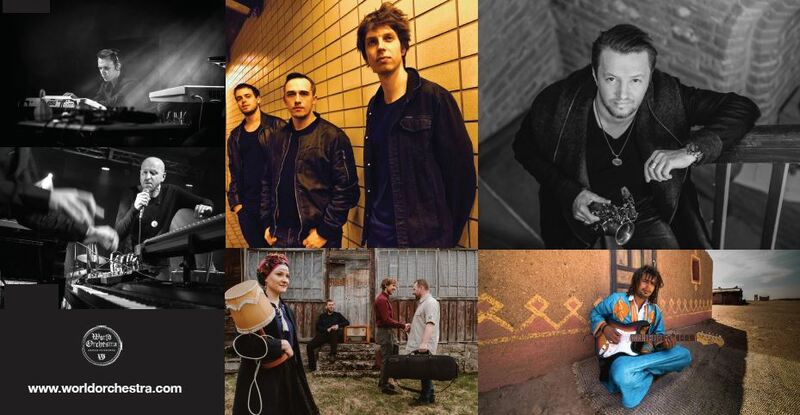 W lipcu 2017 roku wystąpili też na festiwalu world music "Czech Music Crossroads", który poprzedza legendarny "Colors of Ostrava".W skład zespołu wchodzą: Marta Matuszna – Wejchenig – skrzypce, śpiew, Stanisław Bafia – altówka, śpiew, Przemysław Ficek – dudy, piszczałki, Rafał Bałaś – kontrabas, śpiew. Po dłuższej, trzyletniej przerwie, z nową płytą wraca zespół kIRk. Poprzedni album wydany nakładem Asfalt Records i zatytułowany "III" zrobił na mnie duże wrażenie i chyba wciąż pozostanie tym ulubionym w dotychczasowej dyskografii grupy. "Ich Dzikie Serca" jest jednak kolejnym szczeblem ewolucji, który artyści z dosyć dużą łatwością pokonują. Za punkt wyjścia do stworzenia tego dzieła być może kIRk obrał sobie ostatni utwór na na poprzednim albumie, gdzie za znaczącą rolę w budowaniu narracji i klimatu była odpowiedzialna Antonina Nowacka. Jej głos, podobnie jak brzmienie trąbki i fletu Olgierda Dokalskiego, czasami silnie kontrastują z gęsto utkanymi elektronicznymi dźwiękami, które generują Paweł Bartnik i Filip Kalinowski. Częściej jednak współgrają z mrocznymi wizjami zawartymi w brzmieniu o charakterze syntetycznym. Właśnie najnowsza płyta bardziej dobitnie to pokazuje niż poprzednia. kIRk to zespół, który na przestrzeni lat, chyba od "Mszy Świętej w Brąswałdzie", ma to coś, czego wiele zespołów może im pozazdrościć. Chodzi tu o własny styl oraz pomysł na muzykę, które nie są zdeterminowane podziałem na gatunki i nurty. Muzycy z pewnością tworzą historie, które można odnosić do dzieł literackich w rodzaju "Jądra ciemności" Josepha Conrada - o czym zresztą przeczytamy w zapowiedzi jednego z ich koncertów i pod czym sam mogę się podpisać. Zapewne inspirują się też muzyką elektroniczną czy industrialną. Ale dokładają też do tego tygla element improwizacji, przy okazji zderzając futurystyczne wizje z ludzką wrażliwością. W przeciwieństwie do "III", które było oparte na wyraźnych i niekiedy bardzo rytmicznych beatach, "Ich Dzikie Serca” jest albumem o mniej namacalnej narracji. Jest ona jednak silną stroną i tego wydawnictwa, ale żeby do niej dotrzeć i się w niej głębiej zanurzyć, trzeba więcej czasu. Przyznam, iż pierwsze odsłuchy nowej płyty kIRka nie były dla mnie jasnym sygnałem, że oto mamy do czynienia z dziełem przepełnionym emocjami, nad którymi unosi się psychodeliczno-fantastyczna aura. Warto jednak wsłuchać się bardziej wnikliwie w to, co tym razem mają do zaproponowania członkowie grupy, by udać się w muzyczną podróż pełną wrażeń i licznych zwrotów akcji.